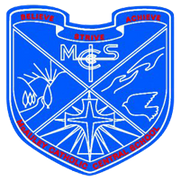 McAuley Catholic Central School provides high-quality educational opportunities for students from Kindergarten through to Year 10 within a safe and caring learning environment at the foothills of the Snowy Mountains in Tumut, New South Wales. We help students to integrate life experience, achieve their personal best, make a valuable contribution to the wider community and to become confident, mindful and optimistic young people. Our School is committed to Christian values and excellence in education with a focus on student centred learning. The school has separate campuses for primary and secondary, and has a current enrolment of approximately 342 students. We encourage our students to be active in the Tumut community by participating at local events and assisting with local community support programs. This includes: The Festival of the Falling Leaf Parade, Anzac Day, Sorry Day, NAIDOC events, and assisting with the Riding for the Disabled, Meals on Wheels and local Aged Care. In addition to our nine Key Learning Areas (KLA’s), students have an impressive selection of 25 potential sports to submerse themselves in, ranging from basketball, dance to lacrosse. Secondary opportunities include: weekly radio broadcasting sessions, tree planting, camps, drama performances, instrumental music lessons, chess and movie production. 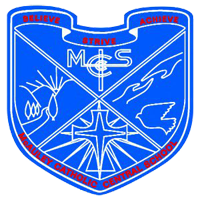 The McAuley logo with the statement ‘Believe, Strive, Achieve’, underpins the teaching principles upon which all our teaching and learning is built. Our students achieve this by striving to give their best in everything that they do in an effort to reach their true potential. Please help all of us at McAuley to show care and concern for others. Mary our mother, look after us. Father John Joseph Therry was ordained a priest in 1815 in Ireland. He arrived in Sydney in 1820 and for five years was the only priest on mainland Australia. In 1835 Fr Therry was willingly appointed by the Bishop to Campbelltown, with an area that extended beyond Yass. Mary Mackillop was born in Melbourne in 1842 and went on to become Australia’s first Saint. Mary and Fr Woods started their own religious order “The Sisters of St Joseph”. Mary took a vow of poverty, devoting her life to the poor. Mary Mackillop was Canonised on October 17, 2010 and proclaimed a Saint by Pope Benedict XVI. Caroline Chisholm was one of Australia’s most outstanding women, recognised as ‘the emigrant’s friend’. She earned this title for her involvement in the welfare of female immigrants to Australia in the 19th Century.